Music is central to our lives. Mothers soothe their babies with gentle rhythm and melody. Music is a vehicle for learning. It’s a robust human trait. Universal. Present in all cultures. Let’s Get the Rhythm captures girls’ handclapping games from inner city playgrounds and across the world… from every continent… and islands in between. Girls from diverse cultures – from Brooklyn to Tanzania – charm us as they learn and share while expanding their experience. Drawing attention to the social importance of girls’ games, the film features footage from far-flung locations as well as ancient Egyptian reliefs. Let’s Get the Rhythm accentuates the beauty of the beat with compelling observations on the empowering force on the lives of girls, women and humanity. "Let’s Get the Rhythm is an incisive, fascinating documentary that demonstrates the significance of girls' hand-clapping games. Perfect for in-classroom use, the film contributes vitally to conversations about global girlhood, cultures of the African diaspora, and performance. I'm bowled over by this film." "Let’s Get the Rhythm shows us movies are not passive activities - a good one brings us into the story and beyond! At Providence Children's Film Festival, these girls could not wait to "hand-clap" after watching Irene Chagall's documentary. Love this!" "Irene Chagall focuses her lens on the completely oral and thoroughly embodied musical expressions that children own and value music, text, and all of the necessary percussive effects they desire... Let’s Get the Rhythm is masterful, and a tribute to an important piece in understanding children’s expressive practices." Along with featuring Let's Get the Rhythm in the Reel Folk Presentations of the The Benjamin Botkin lecture series, the Library of Congress Folklife Today invited Irene Chagall to submit this guest blog. Chagall takes her camera around the world and through long stretches of human history to develop the ﬁlm’s thesis that clapping games are serious business for the girls who play them and that such games are worthy of focused attention. At the heart of the ﬁlm are questions about how society values its girls and their culture, and the cultural habit of discounting such games as “mere play.” Chagall deftly demonstrates the ways that the games not only create social bonds among the girls who play them—as shown when an American girl travels to Tanzania to meet a pen pal and plays clapping games to break the ice with the local girls—but also address large-scale cultural and social issues. [T]he ﬁlm will likely be a strong future companion piece to Bess Lomax Hawes’ earlier work, and set the stage for scholars who follow to build upon what Chagall has done. Irene Chagall’s documentary…introduces the variety and significance of hand-clapping games to a twenty-first-century public, positioning itself to valorize and honor this often-dismissed oral tradition of girls. 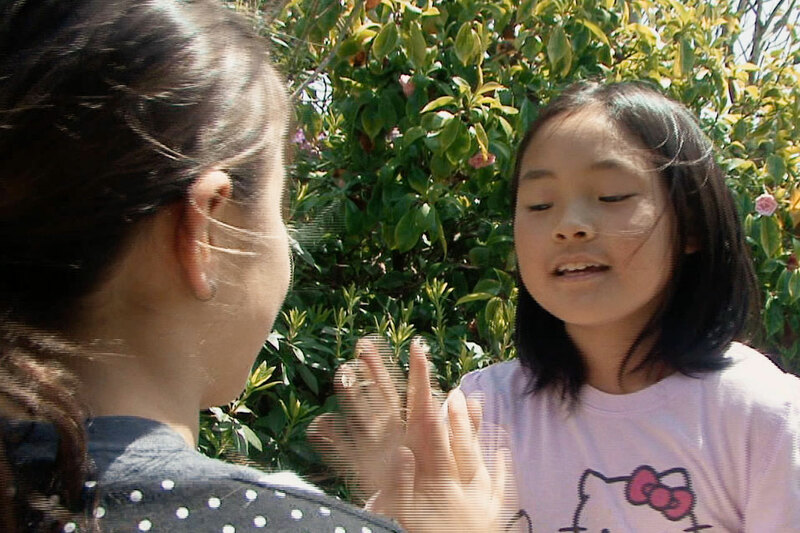 As a genre often “hidden in plain sight,” hand-clapping games—[with] mind-bogglingly difficult rhythmic patterns—span the world, yet tend to be played by girls between the ages of 6 and 11. Let's Get the Rhythm asserts that young girls’ play matters at a deep level and that it may even expose fundamental qualities that make us human. [T]he film affirm[s] interracial, interethnic, and international communication and friendship. [H]and-clapping games may even link all humanity back to Africa…[T]he film addresses the worldwide context and persistence of hand games…[I]ntersecting with a history of scholarly interest, the vibrant endurance of hand games contributes to their role in reasserting community, even in the wake of disaster…[A] wealth of archival film [has been] unearthed and included. This film possesses a broad appeal for both educational and public venues. It should be required viewing in any introductory folklore, sociology, gender studies, ethnomusicology, African American studies, or education classroom, with additional potential value to any number of other disciplines. The film’s bright appeal and delightful child collaborators make it captivating for children of hand clapping age on up, and it can spark discussions at any educational level. [T]he ability to rhythmically connect to one another may be what makes us human, and girls playing hand games affirms our humanity. "If the festival lineup hasn’t already inspired you to get on your feet, Rhythm will do the trick. The film opens with The Clapping Song (Clap Pat Clap Slap): you’ll be dancing in no time." The offbeat approach [of the Lincoln Center Dance on Camera Film Festival] continues with the excellent documentary “Let’s Get the Rhythm: The Life and Times of Miss Mary Mack,” in which the first-time filmmaker Irene Chagall explores the hand-clapping games girls play the world over. Again, it’s a case of choreography happening where you least expect it. Identifiable to players by their opening words (“Rockin’ Robin” or “Miss Mary Mack”), the games survive as an oral tradition. 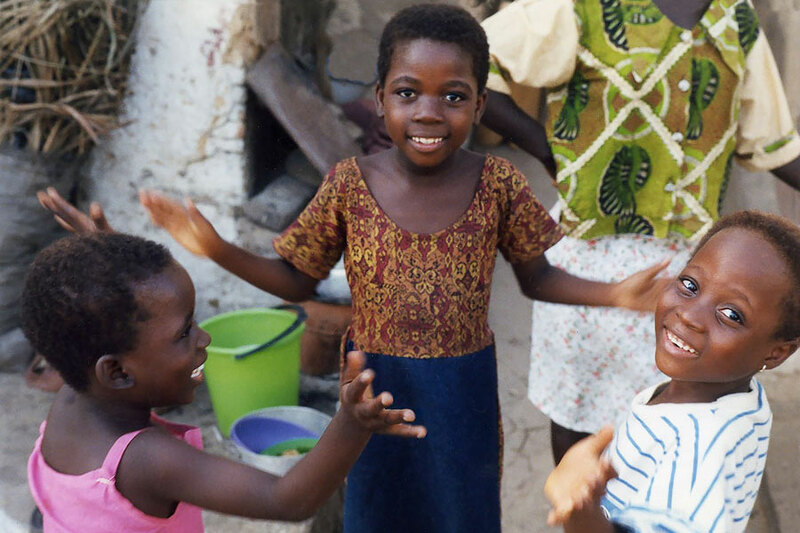 When San Francisco-based music teacher, Irene Chagall, discovered her passionate interest in girls’ hand clapping games on a trip to Ghana, she saw young girls playing many of the same games as American children. Indeed, many of the same games she, herself, played as a youngster. After a great deal of in depth research including gathering archival footage from around the world, Chagall brought her research to the Smithsonian Institution’s Center for Folklife and Cultural Heritage 2003 and was appointed a Smithsonian Research Associate. Working with the esteemed folklorist, Bess Lomax Hawes and City Lore’s Steve Zeitlin, she received sponsorship from the California Academy of Sciences and obtained grants from the National Endowment for the Arts, Public Art Films and in 2014 finished the film, Let’s Get The Rhythm. Co-Producer Steve Zeitlin is the founding director of City Lore, an organization dedicated to the preservation of cultural heritage. He is also the co-producer of a number of award-winning film documentaries including How I Got Over; The Grand Generation; Free Show Tonight on the traveling medicine shows of the 1920s and 30s; From Mambo to Hip Hop, broadcast on public television in the fall of 2006, and winner of an Alma Award for Best Documentary; and Deaf Jam, about American Sign Language poets, broadcast by Independent Lens on PBS.